A 5% cash discount (2% when paying with a credit card) will be applied when tuition is paid in full prior to the start of the school year. A 10% sibling discount is available. 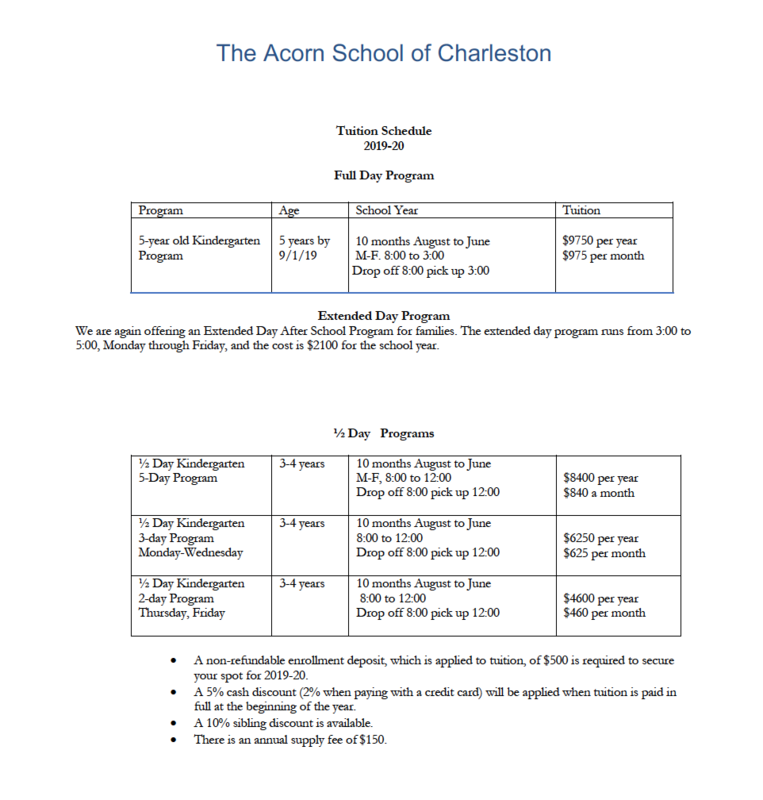 We limit the enrollment in our 2 and 3 day programs and anticipate a waiting pool of students in both. The 2 day program meets Thursday and Friday. The 3 day program meets Monday, Tuesday and Wednesday. A non-refundable enrollment deposit, which is applied to tuition, of $500 dollars is required to secure your child's spot for the 2018-19 school year. There is an annual supply fee of $150 to help cover the cost of food and art supplies, and an application fee of $50 dollars.